Everyone remembers the time they built a fort out of sofa cushions and sheets as a child on a rainy day. 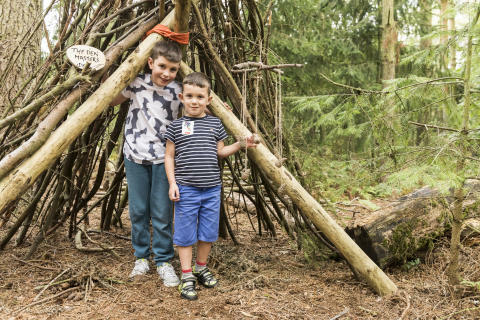 Celebrating all things nostalgic, Center Parcs has just introduced Den Building and Decorating as a new activity so families can interact and engage with natural surroundings. Having family adventures and creating something as a team is something families are keen to do more of and this came out of the Company’s guest research in 2014. 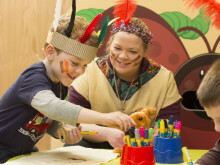 The introduction of Den Building and Decorating is part of the reinvention of the children’s activity offering at Center Parcs to involve parents more in their child’s experience. The new activities also involve an adventure element, with staff getting into character and a ‘take home’ which is either a physical keepsake or knowledge, confidence and skills gained during the activity. Den Building and Decorating is a group activity where guests pay per pitch and are taken into the forest by a Den Master who sets the scene for the experience. Families or groups must then forage and build a den which is tested by all members of the team sitting inside it whilst water is poured over the top. The Den Master tells stories and games are played which encourages people of all ages to engage with and understand natural surroundings. The activity has already been introduced to Sherwood Forest, Elveden Forest and Longleat Forest and will be at Whinfell Forest and Woburn Forest from February. The activity has proven extremely popular with additional sessions already being added to keep up with demand. Center Parcs becomes the first UK holiday resort to be mapped in its entirety using Google Business View technology.